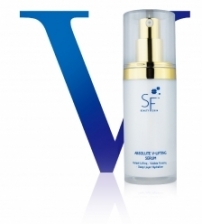 Absolute V-Lifting Serum provides excellent lifting and firming effect in just 3 minutes after apply. Perfectly reshape facial contour, activate the supporting fibers, and deep down hydration. Best natural alternative to surgery. Suitable for all skin types and ages. ** Additional charges for Area: East Malaysia shown in Product Information Page is NOT referring to the delivery fee. It is the additonal charges for products itself.